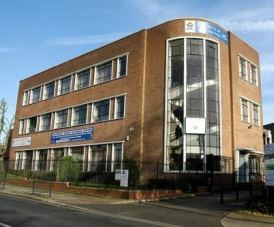 Church Lane managed offices are within a modern property and situated near Hendon in North West London. The location has good transport tube stations close by with network links to Central London via the Jubilee, Northern and Metropolitan lines. With a helpful staffed reception at the site, this workspace includes a meeting room and a larger conference room that is ideal for half or full day events. Cars or motorcycles can be parked within the grounds and there are kitchen points within the building. The offices for rent are suitable for small to medium businesses and are fully equipped with communication cabling for internet and phone lines. Whether you want a short or long-term contract period, these serviced offices can be let on durations that suit you with 3, 6, 9 and 12 month licence agreements.